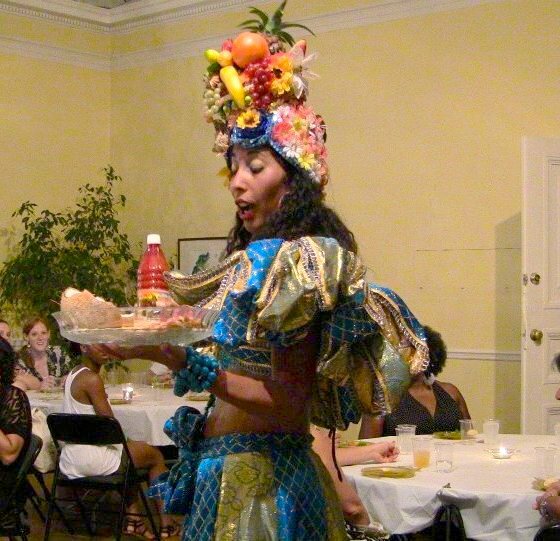 Make your next party a Brazilian Tropical Party! I am Sonia Pessoa, a registered and licensed dietitian. I am also a licensed food service handler. I believe in the power of food and its healing property. All the world’s living creatures must eat, so food is critically important and indispensable to all lives. Food nourishes your body, strengthens your brain, entices your desires, and creates bonds and social relationships. For me, food must be delicious, look great and, most importantly, be healthy. When I cook, I use all five senses. I create a whole experience of body, mind, and soul. Why not make your daily food ambrosia? I can modify your recipes not only to feed your nutritional needs but to give you delicious Brazilian dishes such as vatapa, carurú, moqueca and feijoada, among others. Learn how to cook from the comfort of your kitchen, a private class, or get a group of friends and host a Brazilian cooking class. or e-mail me at Sonia@sambart.com. Puffy, airy little rolls made from Manioc (yucca root) flour, cheese and milk. 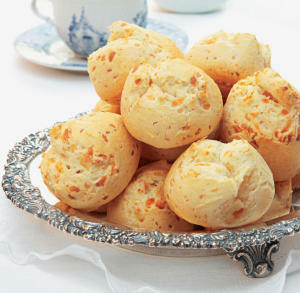 Pão de queijo are extremely popular Brazilian snacks which can be eaten plain or filled with Brazilian cream cheese and olives or guava paste. A tasty homemade blend of shredded chicken mixed with chicken broth, flour, and spices; rolled and deep-fried. 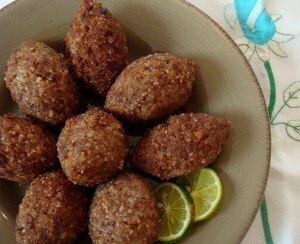 A delicious traditional mix of ground beef, ground wheat, mint, and cumin; rolled and deep-fried. 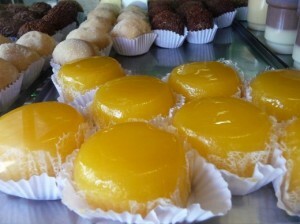 A traditional Brazilian pastry filled with ground beef and garnished with cilantro. Each pastry is done in a hurricane shape. 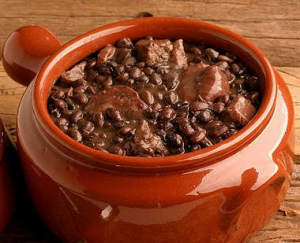 This dish was originally prepared in big pots by colonial Brazilian slaves using black beans and pork meats discarded by farmland owners. Since then, high quality dry meats, pork sirloin, and sausages were substituted, transforming Feijoada into the delicious celebrated entrée that it is today. 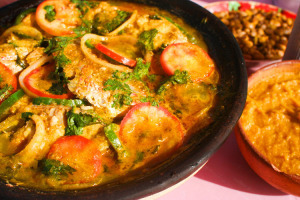 A wonderfully flavorful traditional Brazilian main dish combining whole white fish or red snapper, coconut milk, tomatoes cilantro, peppers, onions, lime, palm oil, and spices into a tasty stew. A palatable and appealing dish consisting of shrimp, diced okra, ginger, peanuts, and palm oil. Quite traditional and quite delicious. Guaraná (paullinea cupana) is a tropical plant with small red fruit and a high caffeine content. The people of the Amazon region in Brazil chew Guaraná seeds as a source of energy or drink Guaraná powder dissolved in water. In the United States, Guaraná can be found in powdered form in health food stores. 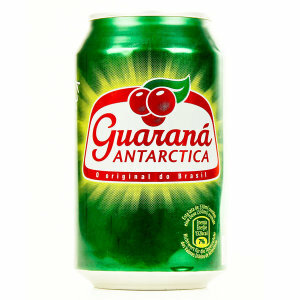 What most Americans don’t know is that Guaraná is also a very popular soft drink in Brazil with a taste similar to that of Cream Soda. 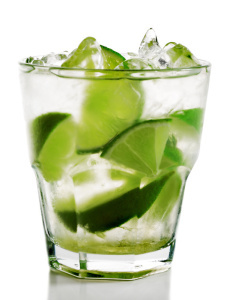 A tasty combination of Cachaça, a Brazilian liquor refined from sugar cane, crushed ice, sugar and freshly muddled limes. A traditional Carnaval drink.